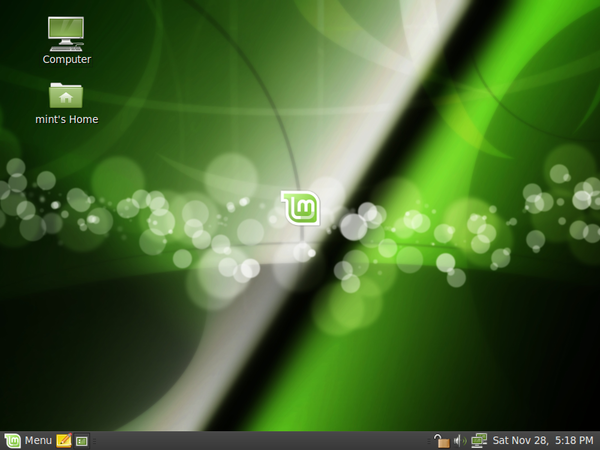 Linux Mint 8 is based on Ubuntu 9.10 and, unlike the official version, provides all the multmedia components and a couple of further enhancements. The distro is currently at number four in the DistroWatch ranking and can confidently be considered the best Ubuntu derivative. Linux Mint 8 alias Helena look and feel. In the new release code-named Helena, main developer Clement Lefebvre not only made the desktop visually more attractive but added a new Upload Manager and countless detailed enhancements. Due to its Karmic Koala underpinnings, Linux Mint 8 is based on Kernel 2.6.31, GNOME 2.28 and X.org 7.4. Apart from the Ubuntu-based changes, the new version now supports an OEM installation module that allows bypassing packages during updates. Details on the Helena release are on the project homepage. Because Linux Mint servers might be overloaded, it's best to use mirrors to download the ISO files, such as ftp.heanet.ie. The 700-MByte main English language edition provides complete multimedia support. The 1-GByte universal edition supports many languages, but excludes the legally controversial additions. The Mint team promises a 64-bit edition soon to supplement the 32-bit one, as well as a KDE version.